Let's get together to support the development of the USA's future Nordic stars. Donations of any size are very welcome. Think of it as buying one of the athletes a coffee, a stick of wax, or a small fraction of a ski pole. Proceeds go to the National Nordic Foundation, which supports developing athletes and the US 'B' team. 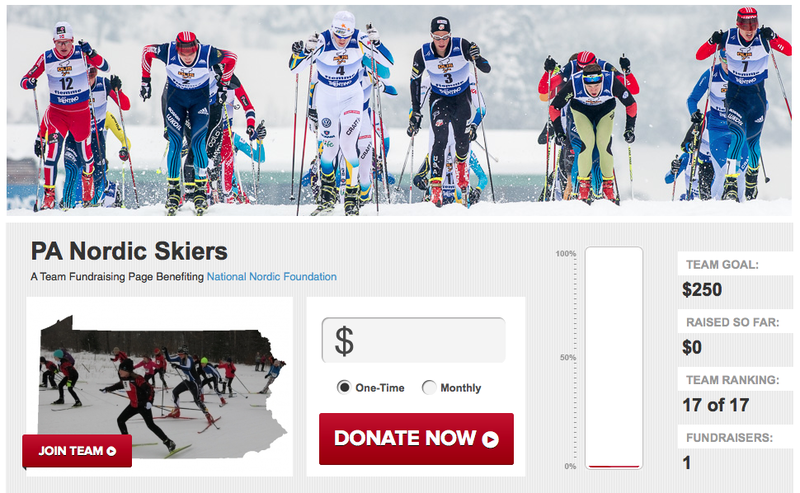 Almost all of the skiers on the US team have benefitted from NNF help in the past. The campaign ends on Nov 15. Let's put some PA pride into the NNF fundraising for 2015 - thank you!